iRobot has responded to an article posted earlier this week by Reuters, in which it was said that company CEO Colin Angle "could reach a deal to sell its maps to one or more of the Big Three in the next couple of years," representing Apple, Amazon, and Google. Angle said that such shared data could bolster the intelligence of other smart home devices like light bulbs, thermostats, and security cameras. Many users became fearful of such personal home data flowing freely between multiple companies, and in response today Angle and an iRobot PR representative have confirmed that "iRobot will	never sell your data." In a letter sent to ZDNet, Angle said that information gathered by its Roomba vacuums "needs to be controlled by the customer and not as a data asset of a corporation to exploit." He went on to say that's how the company operates currently, and how it will continue to operate in the future. First things first, iRobot will never sell your data. Our mission is to help you keep a cleaner home and, in time, to help the smart home and the devices in it work better. Information that is shared needs to be controlled by the customer and not as a data asset of a corporation to exploit. That is how data is handled by iRobot today. Customers have control over sharing it. I want to make very clear that this is how data will be handled in the future. You may also want your robot to work with other connected devices in your home. For this to work, we will also require your permission, and we will always ensure secure means of communication between devices. Additionally, ZDNet was able to further delve into Angle's original comments on the subject, asking what might have happened to spark an outbreak of privacy fear from the first article. When questioned whether the Reuters report was a "misinterpretation" on the subject of user data being sold to other companies, or a misstatement on Angle's part, iRobot responded by confirming that it was in fact a misinterpretation. ZDNet: The Reuters report indicated how iRobot was in talks to sell the data. Can you respond with whether that was a misinterpretation by the reporter or a misstatement on the part of Colin? Was there, in fact, never any monetary negotiations or discussions over data? iRobot: This was a misinterpretation. Colin never said that iRobot would look to sell customer maps or data to other companies. iRobot has not had any conversations with other companies about data transactions, and iRobot will not sell customer data. The company went on to elaborate upon where exactly Roomba's mapping and navigation information is stored, confirming that all data for the Roomba 900 Series "stays on the robot." Usage data for Wi-Fi-enabled Roombas does get sent to the cloud to populate data logs on the connected smartphone app, but "images used for navigation are NOT sent to the cloud." The company also pointed out that its Roomba vacuums lack any sort of traditional camera systems, so images that they see don't divulge much in the way of detailed personal information in the first place. iRobot further iterated on the consent required for mapping data to be made available on the mobile app, saying that only if a user agrees can they see such a map of their homes created during the Roomba's cleaning schedule. If it is allowed, the data is sent to the cloud, processed and simplified so users can parse the data easily, but never sent anywhere else. We won't sell it, it'll just become publicly available when we have a data breach. [Colin] Angle said iRobot would not sell data without its customers' permission, but he expressed confidence most would give their consent in order to access the smart home functions. Colin never said that iRobot would look to sell customer maps or data to other companies. iRobot has not had any conversations with other companies about data transactions, and iRobot will not sell customer data. It's hard to say without a direct quote, but it seems like there's a pretty wide gulf between what must've actually been said and Reuters's "misinterpretation." It makes one wonder what exactly could've been misinterpreted. "We won't sell data without permission." "Oh, so you won't sell data without permission?" "No, no, you're misinterpreting me. We'll never sell data." they'll just give it away for free! As a fan of sci-fi i think the concept of a robot that is always moving around the house vacuuming is cool. I also think that its a useful device for individuals that are disabled. But come on, vacuuming is really not that hard or take up much effort. Lets stop looking for devices that allow us to be fat lazy individuals that don't get up and move around. I'm a proud owner of the Roomba 890.......I had a gift voucher I got from www.robotbox.net (http://www.robotbox.net) so I decided to top up and get a 980, it's the latest model with VSLAM. I really loathed the idea of the 980 taking pictures of your home. My sister has the cheaper 960 and from how you can monitor your house remotely, I won't lie to you....iAdapt 2.0 is like a spymaster's technology.....But on iRobot sharing your data, I'm not sure but it's very possible especially with the recent wave of hacking claims. 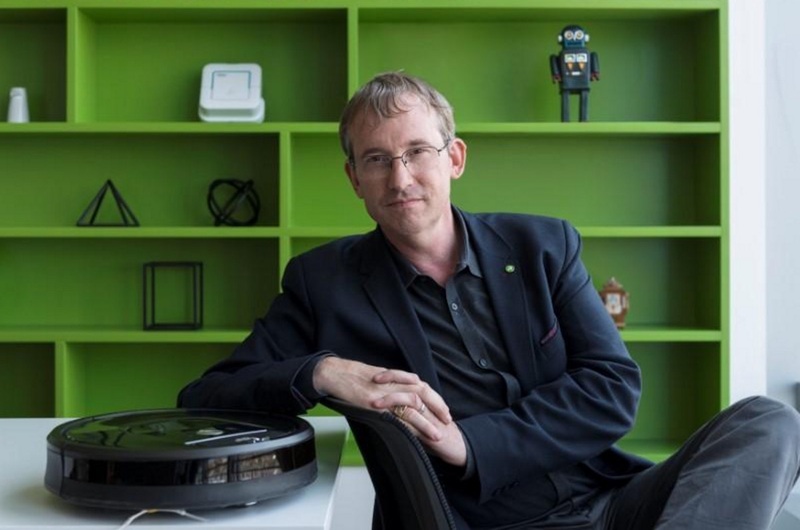 iRobot has responded to an article ('https://www.macrumors.com/2017/07/24/irobot-wants-to-sell-roomba-mapping-data/') posted earlier this week by Reuters, in which it was said that company CEO Colin Angle "could reach a deal to sell its maps to one or more of the Big Three in the next couple of years," representing Apple, Amazon, and Google. Angle said that such shared data could bolster the intelligence of other smart home devices like light bulbs, thermostats, and security cameras. Many users became fearful of such personal home data flowing freely between multiple companies, and in response today Angle and an iRobot PR representative have confirmed that "iRobot will never sell your data." In a letter sent to ZDNet ('http://www.zdnet.com/article/exclusive-roomba-ceo-responds-to-spying-story/'), Angle said that information gathered by its Roomba vacuums "needs to be controlled by the customer and not as a data asset of a corporation to exploit." [doublepost=1501338115][/doublepost]I recommend taking their little spy out back and smashing it with a shovel. Was looking to buy this product in the next two months when I move. Not anymore. Any other suggestions ? Buy a Dyson Animal vacuum. It has a REALLY good 5 year warranty. I have one and recently had a small connector clip go on it, and I brought it into a service center for repair. They also cleaned and replaced a whole bunch of other stuff on it while it was there. No charge. It really is a good vacuum. I hate that all these companies storing sensitive data about your home, life and more. Yet there seems to be ZERO consequences for selling or loosing or leaking that data to a 3rdparty! I think the law needs to change whereby you are due compensation or at the very least fines are leveed against companies that get hacked or sell data. Though I'm aware as soon as you have fines in place it legitimises the selling of data rather than discourages it. While many, including myself are happy to share their data within reason, there should be an opt in to allow companies to hold and store data and another opt in to allow them sell it on.